Posting this on the off-chance that there is an aspiring comic artist out there who might be interested in collaborating with an aspiring writer. I had found a fantastic cartoonist to work with me on this project, but, unfortunately, real life was making too many demands on his time, but this is our start. 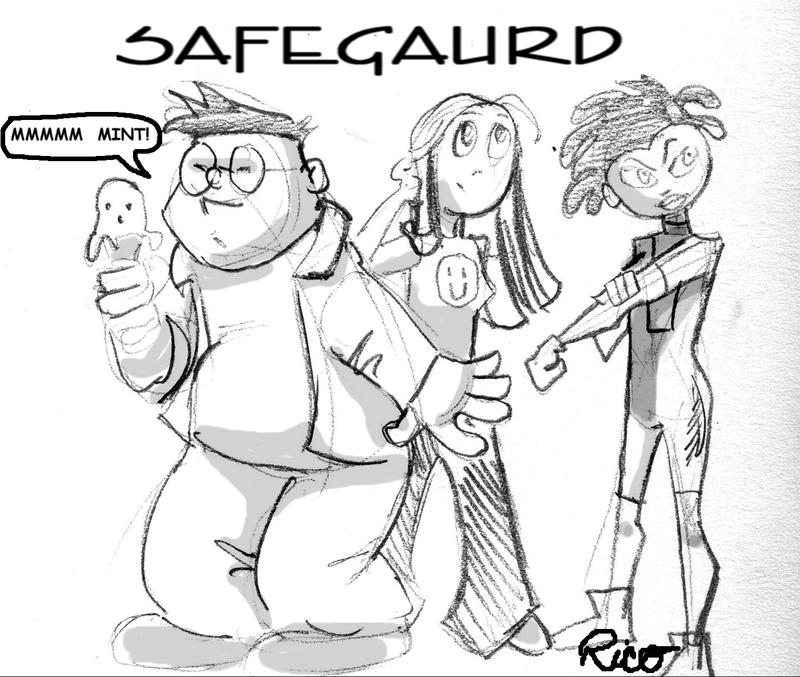 The Safeguard is a mostly-comedic comic that will have a few, very dramatic issues after characters are established. 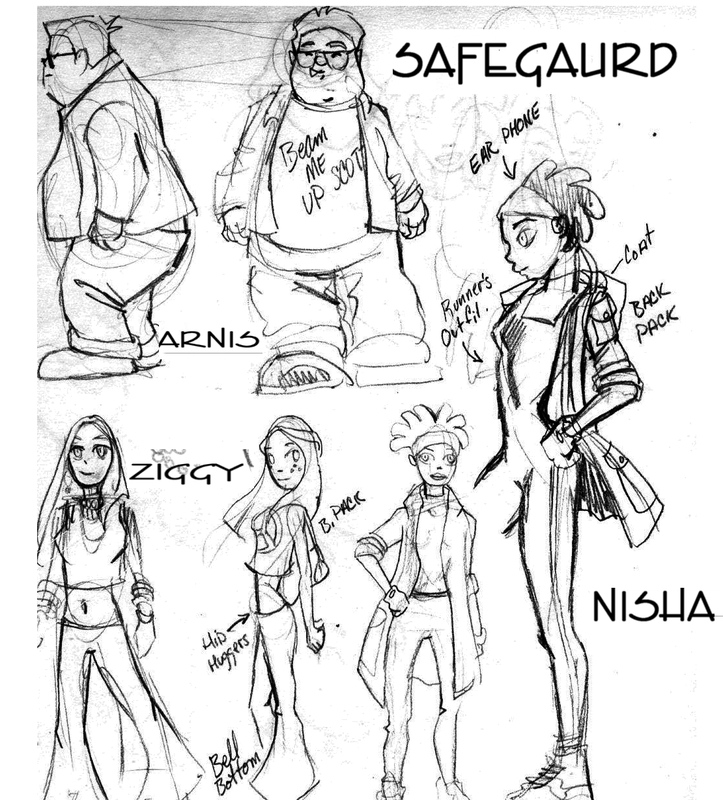 It follows Nisha, Ziggy, and Arnis, three average people trying to play superheroes in the real world and dealing with issues of morality and seriousness of vigilantism, no matter how good the intentions. 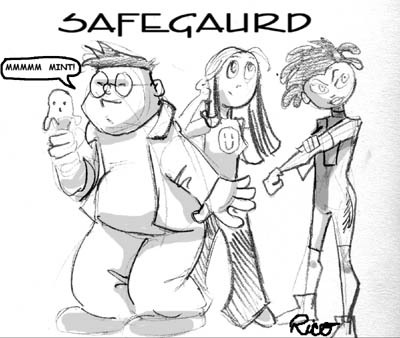 They battle Caleb, a teen who hasn’t figured out where he fits in, and decides to become the Safeguard’s arch-nemesis. Eventually, an amateur superhero fad takes place in the city. I’m giving this an open CC license. Take it, rewrite it, make money off it, anything you like. Please keep my name in the credits, and if you are serious, I’ll be happy to write additional issues or outline where this story is going. Script for Issue 1 of The Safeguard in Microsoft Word Format: this version has pics of Ziggy’s yoga poses. Neat. The concept reminds me of The Venture Bros., a bit, except with kids. BTW, if anyone gave up on The Venture Bros. during season 2, know that the first 4 episodes have all been less funny than every episode after them. S2E05 is where it feels like S1 again.